This is so beautiful, Jane! I'm speechless. Jane this is extraordinary, amazing colouring your talent knows no bounds, you should give lessons. I love her skin the tones. Congratulations on remaining on the DT Jane. Not surprised, you make the images really glow. Stunning as always. Fab image Jane, and love her red hair! Congrats on your new term too! Well done. WOW this is pretty Amazing and Awesome looking!!!! This is wonderful. Did you color the background or is that paper? It's just gorgeous! Such stunning coloring! I'm not surprised they wanted you to stay!! No surprise they asked you to stay. Yowzers Jane! 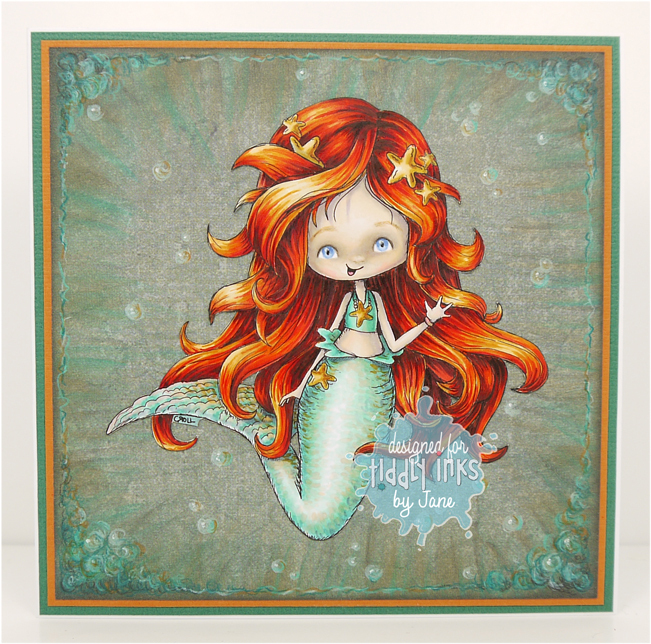 The way you colored the scales and her hair are incredible! Hugs! Loving the cas design. And your colouring is stunning! Fab-u-lous! 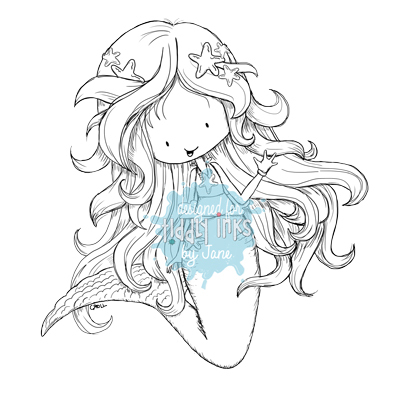 I love this mermaid, lots of your other beauties have a happy home on my Pinterest boards! lol Thanks for the welcome, I'm so happy to be part of the Tiddly Team! Hi Jane.. wow just look at that Hair. You've really done that image justice. Your coloring of this image is absolute perfection. Love it!